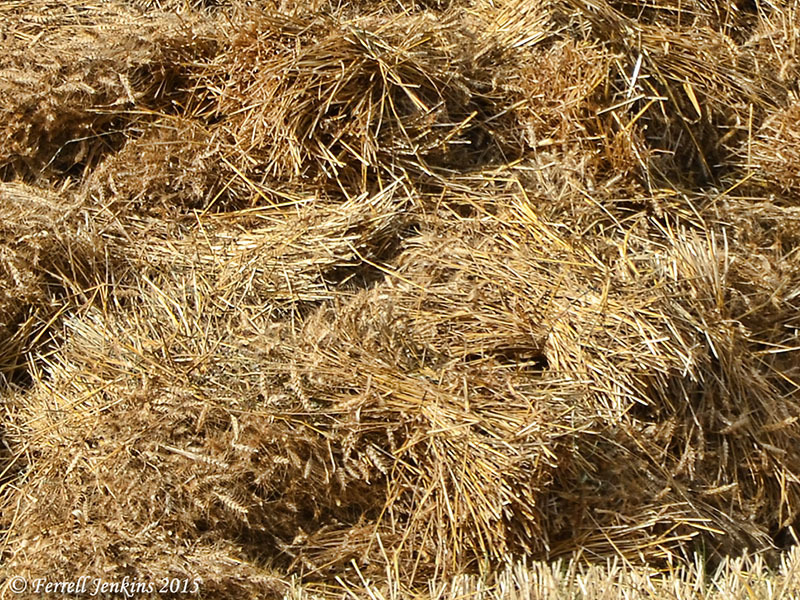 From the time I was a child I recall the song “Bringing in the Sheaves” by Knowles Shaw. I see it was written in 1874, already an old song when I first sang it. I really miss the old songs. Some song leaders seem to forget that it is the repetition of songs that allows the children to learn them – just like they recall all of the TV jingles. Here are the words, now in public domain. What are sheaves, and what is the basis of this encouraging song? Perhaps the author recalled young Joseph’s dream of binding sheaves in the field when his sheaf stood upright and the sheaves of the brothers gathered around it and bowed down (Genesis 37:7). Or, maybe it was the experience of Ruth gathering the left over grain among the sheaves in the field of Boaz at Bethlehem (Ruth 2:7, 15). It seems that Shaw knew the words of Psalm 126:6. 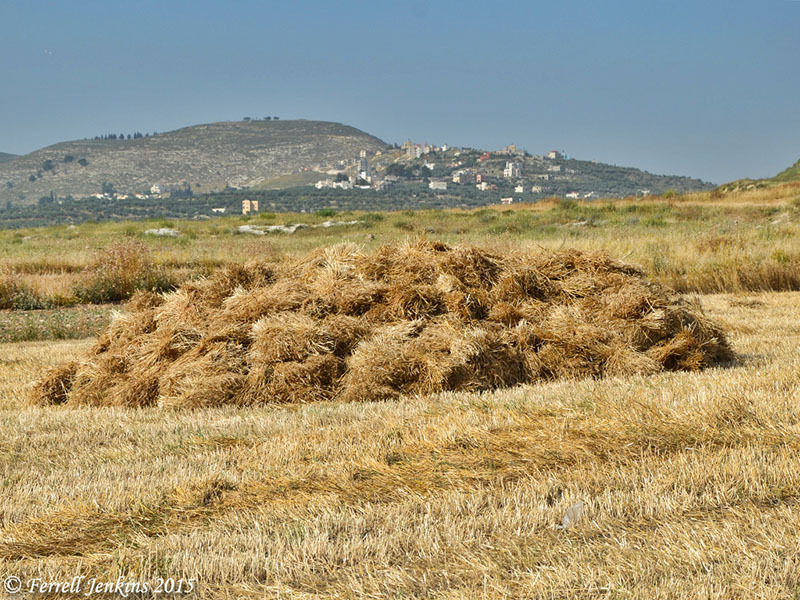 Toward the end of May last year, in the vicinity of Samaria, we saw sheaves in the field ready to be brought in for storage and use for the remainder of the year. Sheaves in the field near ancient Samaria. Photo by Ferrell Jenkins. If you click on this photo and look carefully at the larger image you will see that the sheaves have been bound to hold them together. Sheaves bound in the field, ready to be taken from the fields. Photo by Ferrell Jenkins. I fear that many of our folks today just dismiss the older songs that have themes they don’t readily understand. If we use this as an excuse, it is a reflection on our knowledge of the Bible. Perhaps its time to learn. Bertha Spafford Vester explains how the early American Colony residents of Jerusalem made a living by engaging in various projects from weaving cloth to growing wheat. She recounts an interesting story about cutting grain and binding sheaves. Our Swedish and American farmers had tilled these bits of ground so well that there was evidence of excellent crops. Some Orthodox Jews came to inspect the wheat and offered us a higher than usual price for it to make matzoth (unleavened bread) for their Feast of the Passover on condition that we harvested it under their supervision. We agreed. Are you sowing seeds of kindness? HT: Timeless Truths for lyrics info. This entry was posted in Bible Lands, Bible Places, Bible Study, Culture, Israel, Old Testament, Photography, Travel and tagged American Colony in Jerusalem, Jerusalem, singing, songs. Bookmark the permalink. Forgot about this, but some women singing in an episode of “The High Chaparral” . As a kid you don’t think about it! As an adult, re/learning! Great song! Still remember these lyrics though haven’t sung in church for decades. I had a nice conversation with Hosney Cohen, brother of the High Priest of the Samaritans on Mt Gerizim in early June. Very passionate perspective.